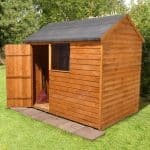 A superb small shed which works well in limited sized gardens or as a secondary storage building. 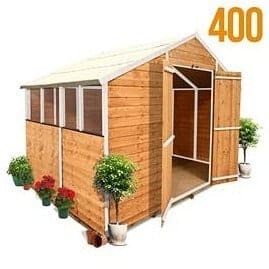 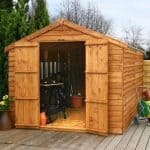 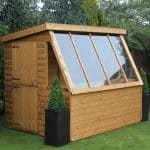 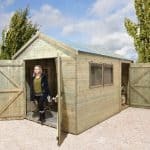 It is an attractive looking shed with wide double doors enabling gardeners to easily transport equipment inside and out. 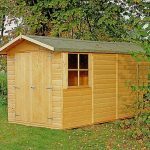 With bright and airy windows, it is an appealing choice and constructed from hard wearing and long lasting wood means it will be a solid purchase. 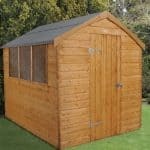 The tongue & groove cladding gives it extra strength and durability – a great purchase.